You’ve lost control. All the accounts you can access on your Windows computer aren’t Administrator accounts, meaning you’re helpless to install software, update drivers or do any kind of administration whatsoever. You can’t even install games. The humanity! Don’t panic. There are more than a few tools for recovering a lost Windows Administrator password, so we can get you back into power over your computer in no time. Some methods are legit, but required you to have thought ahead (unlikely). Others are legit but only work for Windows 8. Two more methods are sort of hacking, but perfectly legal to use on your own computer. Do not, and I mean do not, use this to access computers that aren’t yours. Just don’t. Okay, so before we jump in here, let’s sort one thing out: since Vista, there hasn’t been a system-wide “‘Administrator password”. In Windows XP there was, in addition to your regular accounts, an account called “Administrator”. The password for this account was set during setup and (almost always) immediately forgotten. Occasionally it was even left blank – which is even worse in many ways. Adding to the problem: many people used the Administrator account as their primary account, which was really bad idea from a security point of view – even more so if there was no password. Realizing this, Microsoft stopped enabling the Administrator account by default starting with Windows Vista. So, in Windows Vista, 7 and 8 the “Administrator” password is basically the password for your primary account – or any account set up to act as an Administrator. So if you’re trying, and failing, to log in as “Administrator” on your Vista, 7 or 8 computer, the problem isn’t that you’ve forgotten your password – it’s that no such account exists by default. 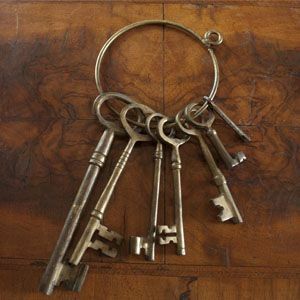 Yes, you can enable a separate Administrator account with some work, but the methods for retrieving your password don’t change much if you’ve done so. 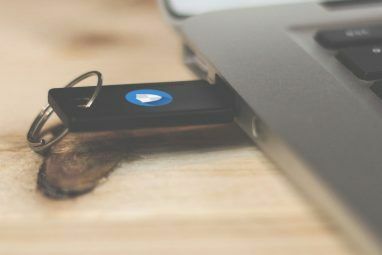 For the most part, this article will show you how to get back any password you’ve forgotten – which should give you Administrator access once again. Got it? Good. Let’s move on. Microsoft overhauled how user accounts work for Windows 8 How Microsoft Overhauled User Accounts In Windows 8 How Microsoft Overhauled User Accounts In Windows 8 What's up with user accounts in Windows 8? It's not complicated - Microsoft wants everyone to use an online account to sign into their desktop operating system. Sure, they offer an offline equivalent, but they... Read More , and the main change was tying most accounts to a cloud service. There are pros and cons here for sure (check out the comments under the article on how Windows 8 user accounts were changed How Microsoft Overhauled User Accounts In Windows 8 How Microsoft Overhauled User Accounts In Windows 8 What's up with user accounts in Windows 8? It's not complicated - Microsoft wants everyone to use an online account to sign into their desktop operating system. Sure, they offer an offline equivalent, but they... Read More for a primer), but there’s one real plus: online password recovery for Windows. If you forget your Windows password, you can recover it online. If you’ve forgotten the password for your online-enabled Windows account, you can click here to reset your Windows Live password. You’ll get an email, which you can open on any other account (or another computer altogether). You’ll be back in, quickly, assuming you’ve got an online account and the computer you’re attempting to use is online. Just follow the instructions, and be sure to store the disk somewhere secure – anyone with it can easily access your system. If you’re not using Windows 8, and you didn’t have the foresight to create a recovery disk, there is another option. It’s a little complicated, and it might not necessarily work, but it’s worth a shot. The tool I’m talking about is Ophcrack, which can hack most Windows passwords Ophcrack - A Password Hack Tool to Crack Almost Any Windows Password Ophcrack - A Password Hack Tool to Crack Almost Any Windows Password There are a lot of different reasons why one would want to use any number of password hack tools to hack a Windows password. Read More . Download the Live CD for your system, then boot it (check out our Live CD manual if you’re not sure how). Boot the CD and the software will get to work at cracking your passwords. It may take a while, especially if you’re using Vista or 7, but eventually you’ll see your passwords. Check out the Ophcrack FAQ if you run into problems, and note that it works much better for XP than systems that came after it. 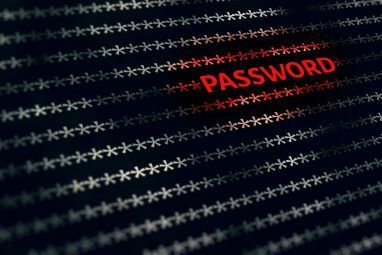 Want to remove your password altogether? There’s another live CD for that: Offline NT Password And Registry Editor (clever name, right?) Also available as a live CD, this simple tool allows you to completely remove the password for any account on any system up to Windows 7. All you need to do after that is log in, but be sure to set a new password – you don’t want to leave your system insecure. Note that, if you use this tool, you’ll lose any files you encrypted using Windows. There’s no way around that, sorry. It’s been hours and Ophcrack isn’t working! What should I do? How do I get my computer to boot from CD? It varies from computer to computer, but generally you can change the boot order by entering “Setup”. On-screen instructions should show up when you first turn your computer on telling you how to enter “Setup”, so follow those. Failing that, Google “how to change boot order” followed by the make and model of your computer. Oh, and make sure you burned the ISO correctly – simply copying the ISO file to the CD isn’t enough. Wait, if it’s this easy to crack a Windows password why bother with passwords at all? It’s not a bad question, and generally if someone has physical access to your computer they can get in given enough time. 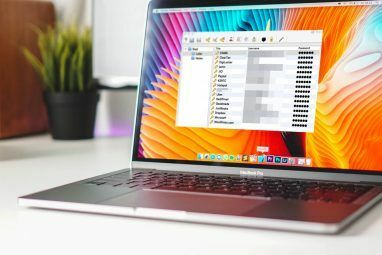 If you really need to secure your files it’s probably a good idea to look into TrueCrypt, but note that if you lose that password you’re simply screwed. You’re a moron – I know a much better tool for this! Thanks for being so tactful! I hope you’ll leave your better suggestions in the comments below, along with anything else you have to say. So if you were using a Windows Live password on a Windows 8 computer in order to access that computer. Then the computer was stolen. You could change your log in to the computer directly online via Live. Is that correct? That should work, yes, with the caveat that if your laptop isn't online changing it on Live won't change it on the computer. So this working would depend on your thief accessing Wifi somewhere. Will this work for an administrator password??? If the tips above don't work I'm not sure what else to try, sorry. Alright thanks. It's my father's computer and because he just recently passed away we're trying to restore it for our mother. It's a HP pavilion 20 all in one pc. It's a shame it's worthless now. You can still install a fresh copy of Windows on it, you'll set a new admin password and the computer will be good as new. I'll still need to do this as administrator, so I'll still need the password ; right? The computer want let me make any changes without the AP as it is now but I'll try anyway. Or, if your computer has a CD drive, that could also work (but most newer ones don't at this point). If you have no disk, you have to to burn a disk with USB or DVD, as for me, I used iSeePassword Windows password recoery tool to create a boot USB, then reset my password on windows 7. But it's not free, I've purchased it at $17, if you need, I can send you the register key to your email, pelase give me your email. Not sure if my other reply came through but if you could email me the register key that would be great. Useless article for Windows 8 and above. Yeah as I wrote in the article if you're using Windows 8 Ophcrack won't work. It is a common phenomenon for all Windows users. I am agree with the advice above. All you need is a Windows administrator password key to help you recover it. Yeah, having that key can help a lot for sure. If these methods don't work, you're past there point where I can help sadly. Sorry! Is there a cost for this program? And if so what is the cost? Thanks guys Windows 8 laptop in danger of being hurled through a (real) window... Password successfully reset and the laptop is safe (for now). Hi, Hope you can help me how to retrieved my administrator password? Now im currently using the other user account which is my childrens access to my lappy. The prob now is that i cant down load any software, copy some files coz it is always prompting me the admin password. I tried using online help and followed instruction for the commant prompt but still doesnt work. I hate when im in a hurry..lol Command Prompt.. The Ophcrack CD seen above is your best bet, Shen. It is not complicated to reset windows admin password at all. what you need indeed is a windows password recovery tool. here is the one ever helped me, you can take a try. Hi Justin P.my name is Dinnes Casas came from phili. i lost my administrator account password. Did the steps above not work out, Dinnes? I don't know what I'd try next, can you give me more information about your computer? I forgot my administrator password on window 8. My account isn't Microsoft account. I already used Ophcrack but can't find password. What should I do? I'd recommend removing the password with the Offline NT Password tool linked to above. i erase my administrator account for accidentally but when i going to download a game i cant because i need the permission from the administrator what should i do? I forgot my administrator password on my windows 8. I went to Microsoft account and changed password there, but I still get the wrong password message. I've tried this several times, and no joy. What can I do now? I like PCUnlocker the most. It's not a freeware but it's more powerful than free options. Besides resetting lost Windows password, PCUnlocker can also reset forgotten Windows 8 Microsoft account password, and promote standard user account to administrator. It also supports Windows 8 UEFI secure booting. You don't need software for Microsoft accounts...just use the web site to restore the password. Never seen this, and the grammatical errors on the site lead me to mistrust it. I could be wrong, though – if anyone has positive experience with this $20 program they should let us know. Thanks Nirah , I have tried your SmartKey Windows password recovery prgoram and it worked! Assuming that the Administrator account isn't locked, you can just press Ctrl-Alt-Del at the login screen a few time to show the ol' school login screen, type "Administrator" (without quote") into the username, and leave the password blank. Now you can use that account, and it won't even ask you for the previous password of any account that you want to change (or delete). Administrator is locked by default for anything after Vista, though. Great tip for XP, however. Well, i recommend you to use iSunshare Windows Password Genius to reset your admin password. I used that before, it is worth trying. What about an article for mac? I should look into this, you're right! and it will ask for the new password. That was supposed to be net user (your existing username) *. Hey Divine, I'm sorry but I don't know what to try outside of the methods laid out here, sorry. Actually there is (imo) a better tool called Kon-Boot. It's very fast, easy to use and it supports other OSes.